A painting showing England crush Australia at Lords Cricket ground during the 2013 Ashes series. 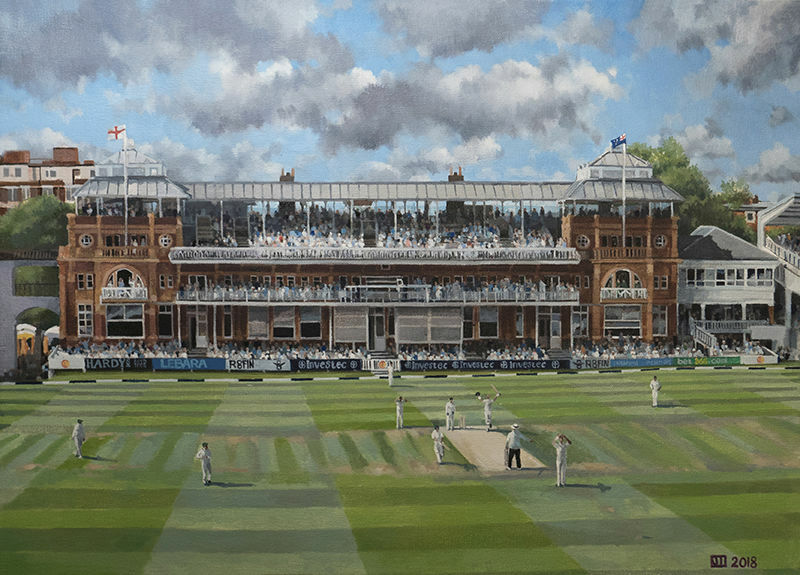 This painting depicts the moment that Joe Root became the youngest Englishman to score an Ashes Test hundred at Lords by cutting Ashton Agar through the covers for four, on his way to 180 runs. Root runs in joyful celebration towards the Pavilion with both arms aloft as the crowd erupts with applause.